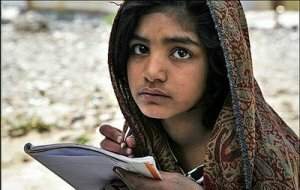 Rifta Masih is an 11-year-old Christian girl who lives near Islamabad, Pakistan. She reportedly suffers from Down’s Syndrome. Like many of the other Christians in her area — who comprise about 10% of the local population — the members of her family work menial jobs, and live in tiny properties rented from Muslim landlords. On Thursday evening, Rifta was seen leaving the one-room dwelling she lives in with her sister and parents, carrying an earthenware dish filled with ash. Or, it may have been some refuse in a small shopping bag. Although Hammad Malik, a 23-year-old witness, is unclear on exactly what the girl was transporting, he is quite certain that the burnt remains had Arabic writing on them. Rifta, he alleges, was burning pages from a Koran inside her house, and then trying to find a place to dispose of the remains. Although he did not see her do this, that did not stop him from assembling an angry group of men and reporting the incident to the local police, with the demand that the girl be apprehended in accordance with the country’s Blasphemy Law. The authorities at first did not act, but then moved swiftly to get the girl into custody when a mob of over 500 people gathered at the Masih home’s doorstep. Fearing for her safety, the authorities put her into a cell for a two-week detention. Welcome to Pakistan: A nightmare society beyond pity or parody, where handicapped 11-year-old girls must be locked up to ensure their own safety. Muslims together condemn the arrest and imprisonment of a Christian girl, Rimsha Masih, in Pakistan on blasphemy charges. The police jailed the girl, Rimsha Masih, and her mother on Friday after hundreds of Muslim protesters surrounded the police station here where they were being held, demanding that Ms. Masih face charges under Pakistan’s blasphemy laws. A local cleric had said Ms. Masih had burned pages of the Noorani Qaida, a religious textbook used to teach the Koran to children. We urge Muslims in Pakistan and around the world to focus on this particular topic and seek to abolish the blasphemy laws. There is a way out to find lasting solutions to rid of the abusive practices by a few in the clergy group. These men, literate or illiterate, at least claim to follow Prophet Muhammad’s (pbuh) life examples; however, they don’t, and it is our immediate responsibility to pass on Prophet Muhammad’s practices to some of these men who pass judgments without any reference to the life of the Prophet. Screaming at them or pushing them to the corner is neither Jesus’ way nor Muhammad’s way. Prophet Muhammad (pbuh) is considered a blessing to the humanity and rightfully known as Rahmutul Aalameen, the mercy to mankind. It behooves Muslims to protect the integrity of that title and never commit an unmerciful act invoking his name. 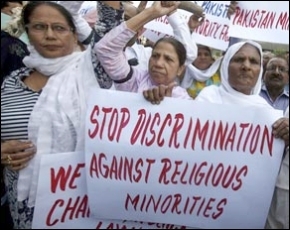 ISLAMABAD — Authorities in Pakistan have come under growing criticism for being unable to protect the rights of religious minorities. 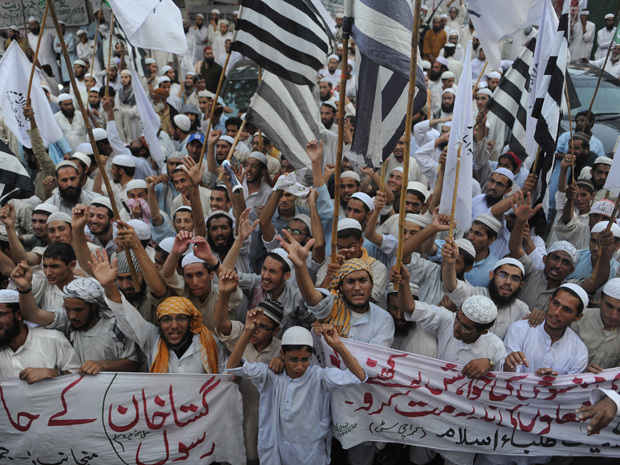 Most of Pakistan’s 180 million people are Sunni Muslim. Christians complain they are unfair targets of the country’s blasphemy laws that carry death penalty for anyone found guilty of defaming Islam, and the minority Hindu community says its members are migrating to India to avoid forced conversions. The imprisonment in Pakistan this month of a young Christian girl accused of violating the country’s blasphemy laws is being cited as one of the latest incidents of growing intolerance toward religious minorities. The incident occurred just outside Islamabad but details remain sketchy. The detained girl, Rimsha Masih, is said to be 11 years old and mentally handicapped. Police arrested Rimsha after scores of angry Muslims gathered outside her house and accused her of burning pages inscribed with verses from the Quran. He may be too extreme for West Point and George W. Bush, but apparently not for Mitt Romney. Politico reports today that the Republican presidential nominee met with retired Lt. Gen. Jerry Boykin, who is now a highly controversial anti-Islam activist, in a private conclave with four other social conservative leaders in Denver last week. The day after the meeting reportedly took place, Romney dodged a question on Rep. Michele Bachmann’s witch hunt against Muslims in the U.S. government. “I’m not going to tell other people what things to talk about. Those are not things that are part of my campaign,” he said at a press availability about Bachmann’s allegations last Friday. Boykin is best known for earning a public rebuke from President Bush himself in 2003 for his vitriolic anti-Islamic rhetoric. 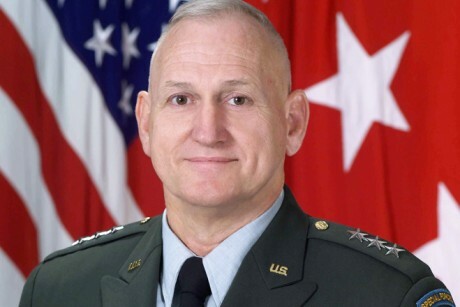 Boykin, in uniform at the time, gave a speech portraying the war against Islamist militants as a Christian struggle against Satan, and suggested that Muslims worship an ”idol” and not ”a real God.” Some Republican lawmakers spoke out against him, as well as the president, who said, Boykin’s opinions “didn’t reflect” his or the government’s views. A year later, a Department of Defense investigation determined that Boykin had violated three internal rules while delivering his controversial anti-Islamic speeches. Former Republican presidential candidate, Rep. Michele Bachmann, has declared a crusade against American Muslims in public life with her attacks on State Department aide, Huma Abedin and now, fellow Rep. Keith Ellison. She accused Ellison, without any proof whatsoever, of having longstanding ties to the Muslim Brotherhood. It appears that the Minnesota House member’s major sin was questioning letters Bachmann sent the four federal inspectors general asking that they investigate Abedin’s own ties to the Muslim Brotherhood. Quite sensibly, Ellison asked Bachmann to produce any evidence that she had to support her contention. Most of this lunacy was originally hatched in the brain of anti-Muslim conspiracy theorist Frank Gaffney, whose Center for Security Policy employs David Yerushalmi to write anti-Sharia legislation that is popular in many state legislatures. Several years ago Gaffney tried to pull this crap on Grover Norquist, who is married to an Arab woman who is also a government official. He accused Norquist of being part of a sinister Muslim Brotherhood plot to infiltrate the U.S. government. If this sounds like Joe McCarthy and the old John Birch Society smears regarding Communist infiltration of American government, it should. There’s almost no difference between these two hysteria-inducing movements. For Aleppo’s Christians, there is a profound fear of the unknown. The Assad government was tolerant of religious minorities, but the rebellion draws most support from Syria’s majority Sunni Muslim community. BEIRUT — As explosions and gunfire sounded in the distance, the parishioners of St. Joseph’s Church in Aleppo, Syria, prayed for peace. 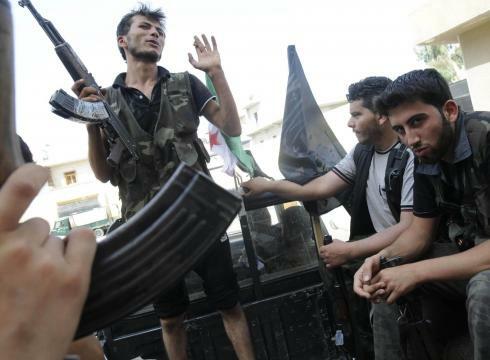 Syria’s most populous city endured another day of shelling, street battles and reported strafing from helicopter gunships. Tens of thousands of people have already fled. Pickups and cars filled with families and their belongings have been streaming out as rebel gunmen battle government forces. The United Nations reported Tuesday that thousands remain trapped in the sprawling city of more than 2 million, which has become the focal point of the more than 16-month rebellion against Syrian President Bashar Assad. The crisis inside the city is becoming ever more dire, say aid workers, who fear a looming humanitarian catastrophe. 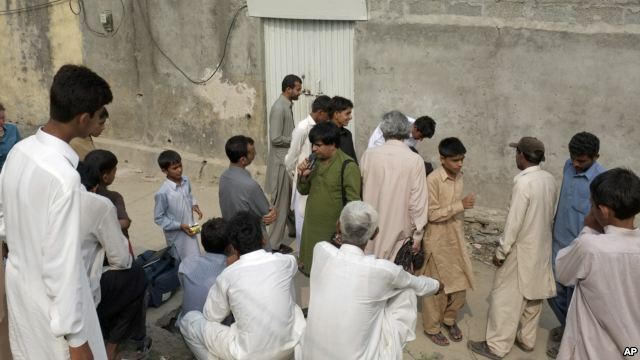 Bread is in short supply; people are waiting in lines for hours to grab what is available. Gasoline is prohibitively expensive or nonexistent. Cooking oil is hard to find. WASHINGTON — From pork rinds sprinkled on Muslim graves in France to a Christian pastor’s death sentence for apostasy in Iran, religious minorities were targeted across the globe in 2011, according to a U.S. government report on the state of religious freedom. The State Department’s annual compilation, released Monday, highlighted a few narrow openings in unlikely places – transitional Libya and closed-off Myanmar, for example – but it also criticized some traditional U.S. allies for backsliding when it came to protecting the freedom to worship. Belgium and France passed laws restricting dress that “adversely affected Muslims,” while Hungary introduced changes making it so difficult to register religious organizations that the number of recognized religious groups plummeted from more than 300 to fewer than 32.